The market is constantly pushing us into planning for the future: our retirement, 401K’s, pensions, stocks and bonds, social security and other means. We naturally gravitate towards our future here on earth. We plan our next projects, vacations, weekend getaways and nights out. 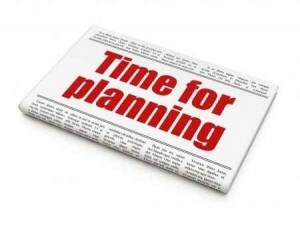 Does the Bible address the issue of planning for the future? You bet it does! Your eternity is at hand! 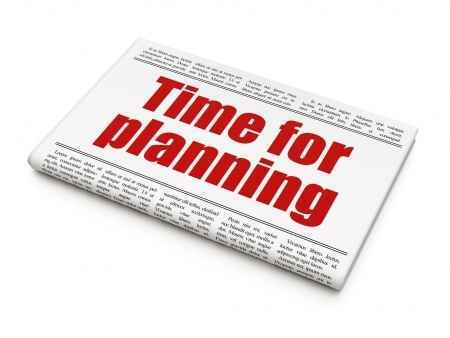 Let us look at what the Bible says about planning for the future. The people addressed in this passage are assuming that they will live and do well in the places they go to, but they forget that tomorrow may never come. Therefore, that is why James tells them (and us) to take our plans to God. Why should we take our plans to God? Because God knows what is best for us. You can’t assume that you will even be alive 1 minute from now. But you can assume that God knows what is best and that by following His lead you will ultimately arrive in heaven safe and sound! Invest your time and resources here on earth wisely. Invest into your eternity even more. Planning and using your finances wisely is important. There are many verses in the Bible that address how we should think about and use our money and resources. Here are a couple of verses to ponder. Proverbs 6:6-8 “Go to the ant, O Sluggard; consider her ways, and be wise. Without having any chief, officer, or ruler, she prepares her bread in summer and gathers her food in harvest.” It is good to plan ahead so that our lives are in order and maintain balance. Your needs will be met when you plan ahead. Proverbs 27:23 “Know well the condition of your flocks, and give attention to your herds.” Pay attention to your finances and your investments. You need to know where your money is going and how much you are saving. As important as your future on earth is, your eternity is much more important. Your entire eternity is decided on one simple truth: “Jesus said to him, ‘I am the way, and the truth, and the life. No one comes to the Father except through Me.’” (John 14:6). Your investment in eternity will take you to one of two places: heaven or hell. If you have repented of your sins and chosen to follow Christ instead of your own fleshly desires, you will experience life abundant in heaven. If you decide to continue on in living in your carnal nature and satisfying all of your fleshly desires in sin, I am afraid that hell awaits you. Don’t spend eternity in pain and agony because of a very brief time of life on earth. The pleasures of this life will seem incomparable to the riches and joy we will have in Christ Jesus in heaven. Planning for your eternal future is essential, but planning for your children’s future is just as important! Consider these verses as you continue to raise your children up in the Lord. I know that you want to see your earthly family in heaven, so stay alive in the Word and raise your kids with godly morals and principals! You can reassure your children that all of you will be in heaven if you all continue to abide in the Word, prayer and promises of God. Your children need to understand that God is the most reliable source of knowledge and truth. When they believe this, they will continue to search for His truths in the Word as they grow up into adults. Little children will believe everything you tell them. It is important to raise them to believe everything that God tells them too. We have to read scripture with a mind of a child. We need to believe it without any doubts, just like a child would. Your children are a blessing from the Lord, so bless them with washing them in the Word! Invest your time and resources here on earth wisely. Invest into your eternity even more. Repent daily of sin. Pray daily to your Father. Sing praises daily to the Lord. Bring the gospel to the lost daily. Be a hearer of the Word and then do what it says! Pray for your family and friends! God loves you and desperately wants a life with you in heaven. If you have not accepted Christ as your Savior, do not delay! Your hour may be at hand today! God bless you as you continue to live a life worthy of the calling! so many verses you missed that tell us to not lay up treasures on earth. we are in the world but not of it if we are a believer. because most of the human race have broken the bands of God we are in a bad way. i know many so called Christians that are wealthy and don’t see how they have fallen away from God. you can have a conversation with them and they don’t have ears to hear. So sad!